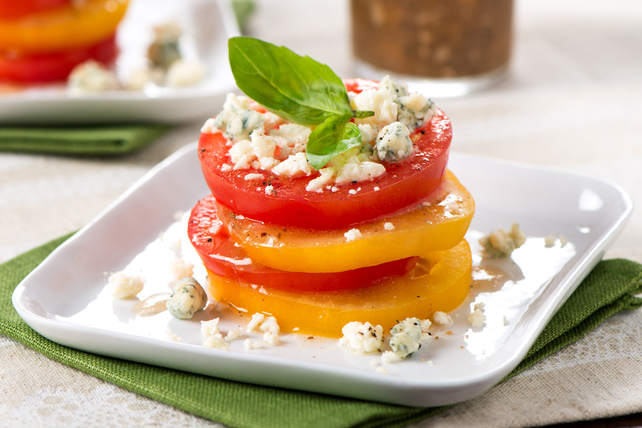 This elegant, yet easy to prepare, tomato salad is the perfect recipe to serve as part of a busy weeknight supper or special-occasion meal. Stack red and yellow tomato slices alternately on 4 salad plates to resemble towers. Sprinkle with cheeses; drizzle with vinaigrette. Top each tower with 1 Tbsp. chopped black olives before garnishing with the basil.